This year 5G is arriving in many countries across the globe, and once the networks and tariffs are there, many want the next-gen connectivity on their smartphones. But what challenges do manufacturers of 5G smartphones face today? The answer is quite a lot. The first issue is quite significant: where do they get the hardware? Powerful 5G modems are currently only available from Qualcomm with the X50 and Huawei with the Balong 5000. Intel is also working on a 5G modem for smartphones and tablets, but it's lagging behind with development. Considering Huawei only supplies itself with its own chip manufacturer HiSilicon, the rest are faced with a rather narrow choice: Qualcomm or nothing. This monopoly is dangerous because if all manufacturers are dependent on one supplier, prices and conditions can be dictated. Apple isn't the only company which knows that Qualcomm can be a pretty tough negotiating partner in these matters. For a 5G iPhone, things get particularly complicated thanks to the quarrel with Qualcomm, meaning Apple probably has to develop and manufacture its own 5G modem. The scarce availability of 5G modems and suitable antennas is driving up prices. Once the right hardware has been secured, it must be installed, and this requires one thing above all else: space. The modems that support 5G are additional components and not a part of the SoC. They must, therefore, be placed on the board of the smartphone. There also are the additional antennas, which are usually four - one for each side of the smartphone. They have to go somewhere as well, and anyone who has ever seen the inside of a smartphone knows that it is not particularly spacious. 5G also requires a larger battery, as the new wireless standard consumes significantly more power than UMTS and LTE when used intensively - one reason why 5G should only be used very sparingly on smartphones at the beginning. 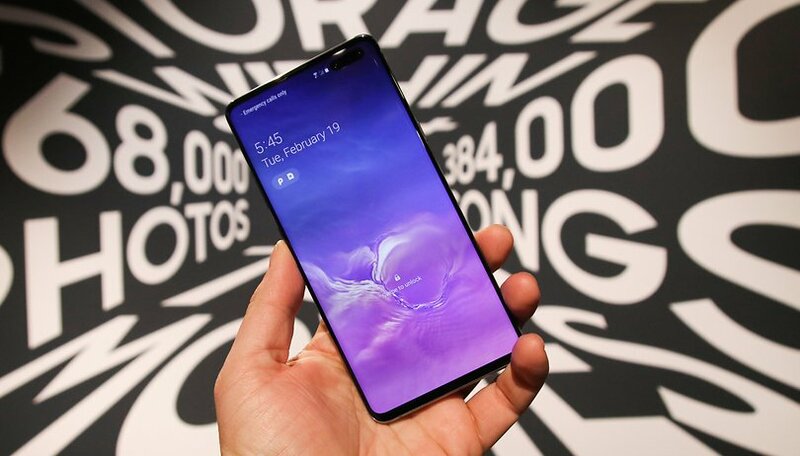 Creative solutions are in demand for the space problem, because simply "making it bigger and thicker" like the Samsung Galaxy S10 5G is not necessarily desirable. One of them is foldable smartphones, because when opened they have a much larger footprint. The 5G antennas and modem are therefore less difficult to accommodate and there is space for a bigger battery as well. Do you really already need a 5G smartphone? However, folding smartphones are still not an optimal solution for one simple reason: even without 5G, they are far too expensive for normal users. The components for the folding mechanism, especially the hinge and the flexible display, are already driving up prices, and the additional 5G equipment can make them skyrocket. In addition, there are new manufacturing processes, increasing expenditure on research and development. Not letting the cost of 5G smartphones explode will be a real challenge for Samsung, Huawei and company. Nevertheless, it is worth the challenge for the manufacturers, because 5G promises a lot of advantages, not only for the industry but for consumers. Cliff Chiang, Vice President of Research & Development at Huawei, said in response to the question of how 5G will change the role of the smartphone: "Smartphone will become the catalyst to enable many 5G connected services via inter-connecting with other smart devices. There will be new applications for smartphones to take advantage of the high performance and will further enable Cloud Computing in hosting much more complex applications like AR or AI related. It all will be more elemental in our daily life." I want to be able to use a 5G smartphone by 2020 at the latest. Chiang emphasizes that smartphone users should look forward to the launch of 5G: "Smartphone users can be excited about major improvements. It starts from the general performance improvement, e.g. better camera resolution and a sharper display with sensing technology distributing a much higher quality in receiving and delivering. That will be noticeable for 3D, holography, AR effects and more. In total 5G will deliver more and new possibilities for entertainment and performance." With so many advantages, the effort of integrating 5G into smartphones should actually pay off. Do you agree? Let us know in the comments below.